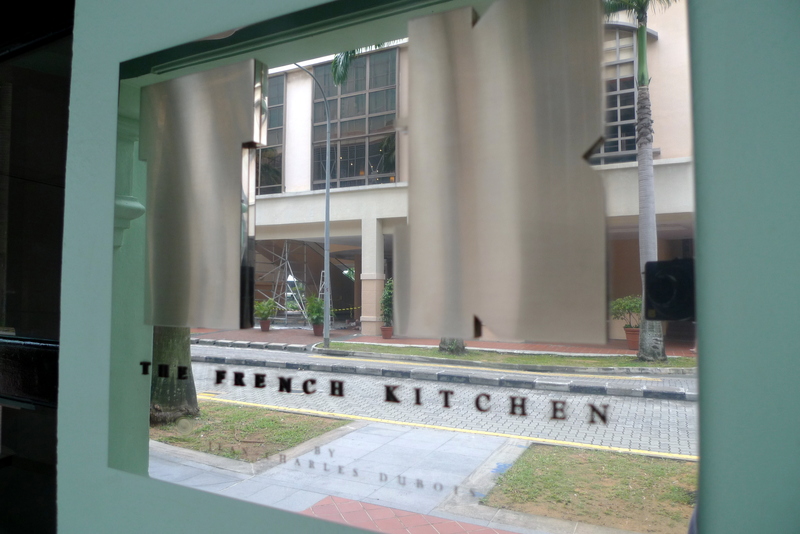 Some might get confused between The French Stall and The French Kitchen, others by the The French Kitchen’s address, Central Mall vs The Central @ Clarke Quay but 1 thing is for certain…the awesomeness of Chef Jean-Charles Dubois exiquisite and masterful culinary arts. Some say consuming Gingko Nuts, Fish etc can boost your memory but I have recently discovered an even more effective way of doing so; dining at The French Kitchen. Meals there will be forever etched in my memories…unforgettable and ever so memorable. 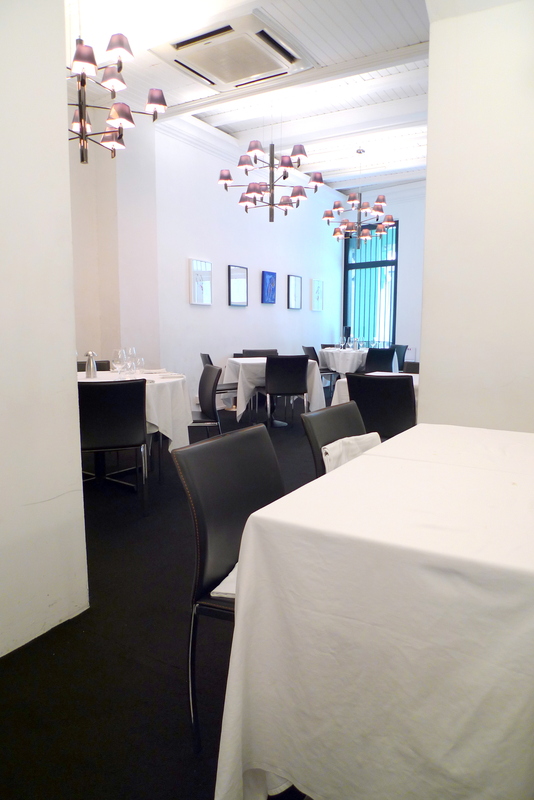 For a fine dining restaurant, The French Kitchen definitely doesn’t pull out all the stops to impress diners with fanciful albeit pretentious decor, sufficing on simple contrasting hues of black carpeting with whitewashed walls and an inconspicuous restaurant front. This minimalistic setting suits me well and makes the dining experience a whole lot more relaxed and leisurely, especially since I’m such a recalcitrant failure in the art of dining etiquette. 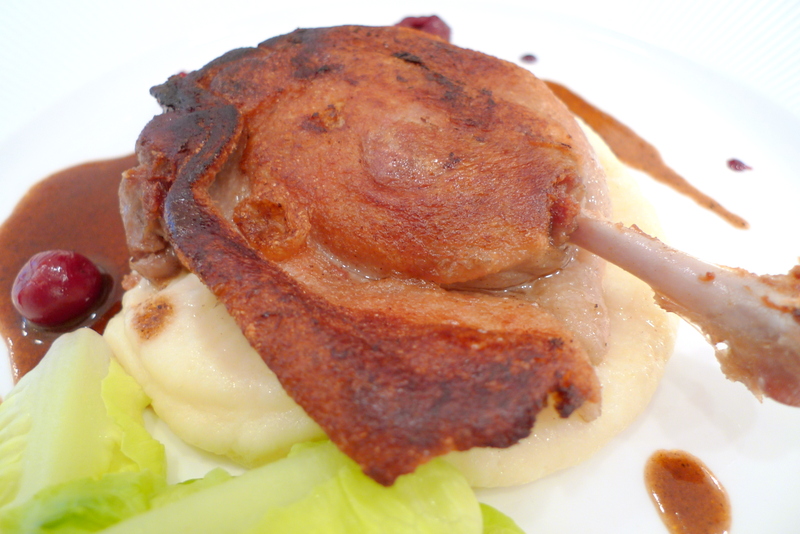 Service was good throughout the meal but my only grouse was the small and cramp tables. CW flew back from the UK(where she is studying), to mug for her exams during her study break. Get the irony? Ironies aside, she was my lunch date today and 3-Course Set Lunches($36++) were in order. 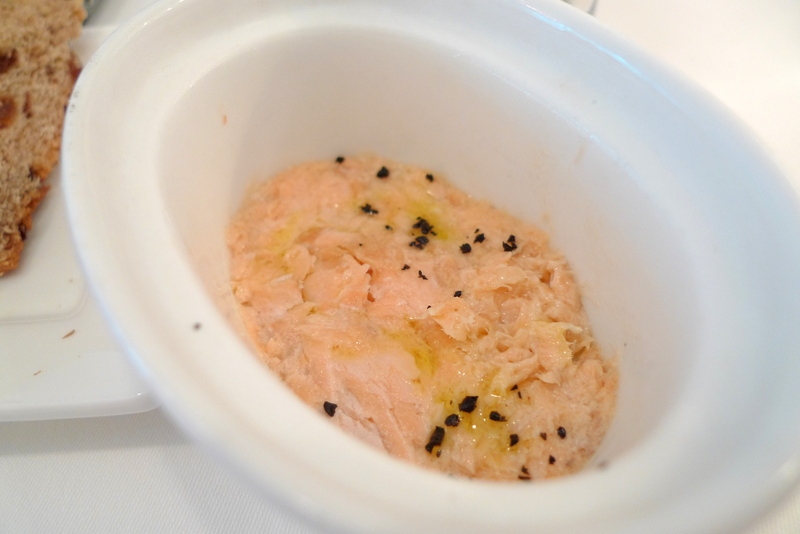 Instead of the generic Balsamic Vinegar in Olive Oil, the complementary Bread Basket here was served with Butter and Salmon Rillettes(Cured Salmon Spread) which was a most welcome change. 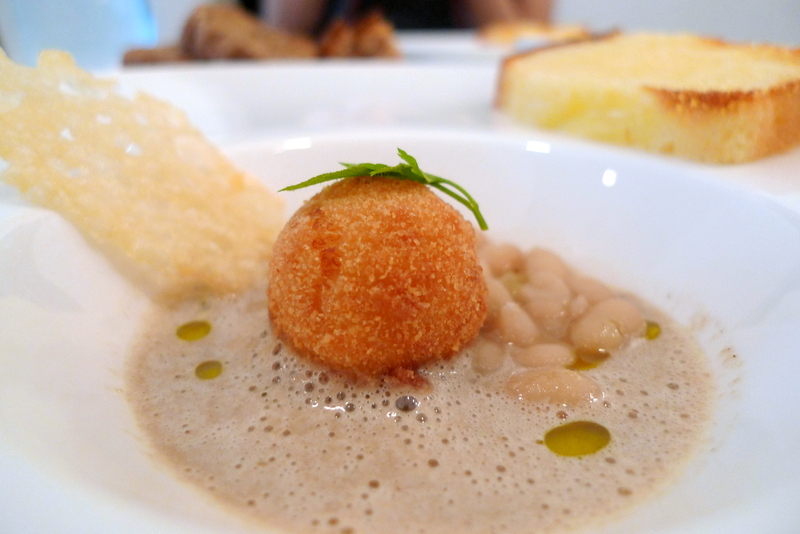 A fabulous complementary Amuse Bouche came in the form of the Fried Cod Fish Ball in Artichoke Soup(I think) with Toasted Broiche. I wasn’t very sure about the workflow process of eating the Cod Ball and was considering whether I dip it in the soup or eat them separately? I decided on the latter so as to fully savour the cod and used the soup as a dip for my broiche. I guess that was how it should be done since it all went down well. The best Lobster Bisque I have eaten thus far! To prevent overly soggy Battered Tiger Prawns, the Lobster Bisque was only poured into our bowls from a small jug at where we were seated. Though it’s just a small gesture, uhhhs and ahhhs were silently muttered in my mind. 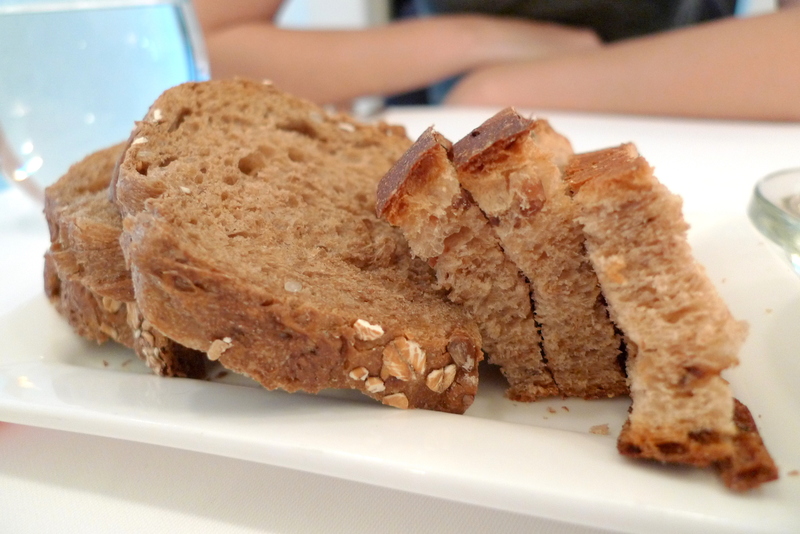 The broth was smooth and light, yet flavourful and packed an awesome umami saturated punch at the same time. The Leek Custard did well to take the edge off the intense flavours from the broth which threatened to get a bit cloying over time without it. I would have already thought that this was perfect but the presence of the Battered Tiger Prawns reminded me otherwise. 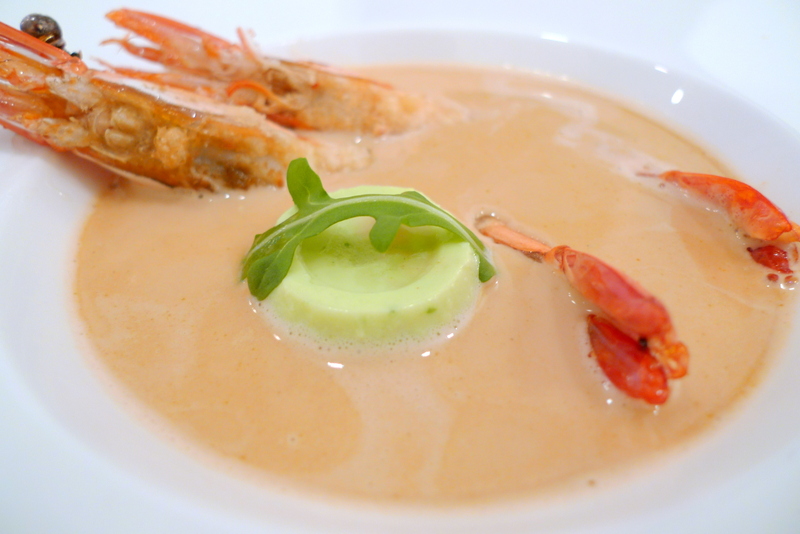 The crunchy and sweet prawns, panna cotta-like textured custard and savoury bisque, I call this the tasty trinity! Would the Chef reconsider changing this to entree sized plz? 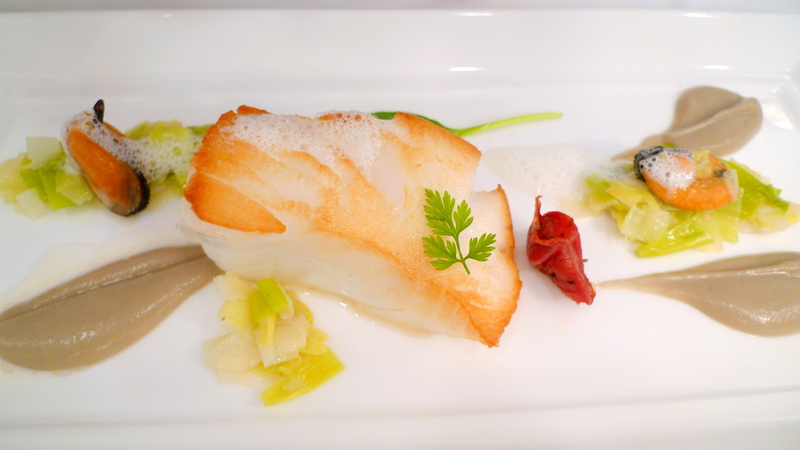 A thick slab of Pan Seared Cod Fillet with Artichoke Puree, Bouchot Mussel Jus Emulsion. The Cod while fresh, bored didn’t impress me much with it’s mild flavours but those who like the unadulterated natural taste of cod might like give this a go. Presentation-wise, nothing short of full marks! It’s rare that I would encounter 2 best-dishes-I-have-eaten-in-my-life at a single locale in the same meal but it happened today with the latter dish being the Duck Leg Confit with Truffled Mash Potato and Marinated Cherries. While some might find enlightenment/Nirvana sitting under a tree, in prayer or in worship, I found it carefully plated on this cushion of mash. Eating it made me question whether I had died and sent to heaven. This leaves me very depressed now since I know that finding anything remotely similar is…remote! 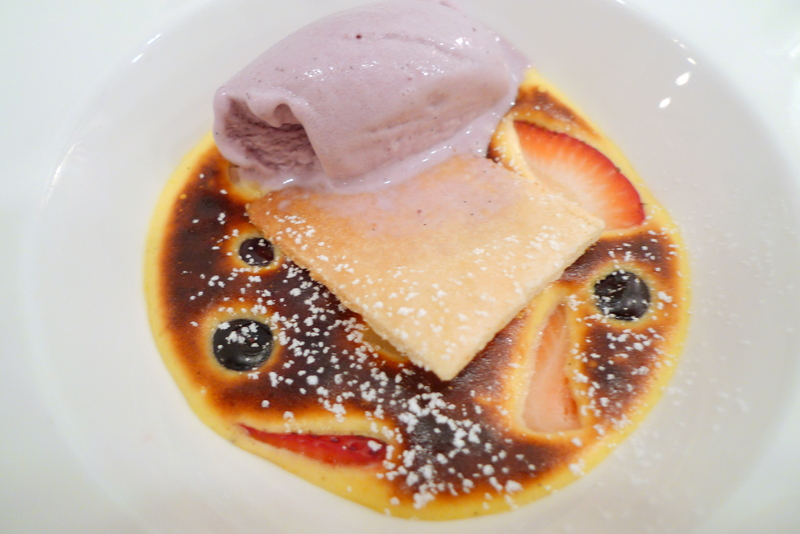 The Gratinated Champagne Sabayon with Pear Marmalade and Forest Berry Ice Cream was pretty decent. 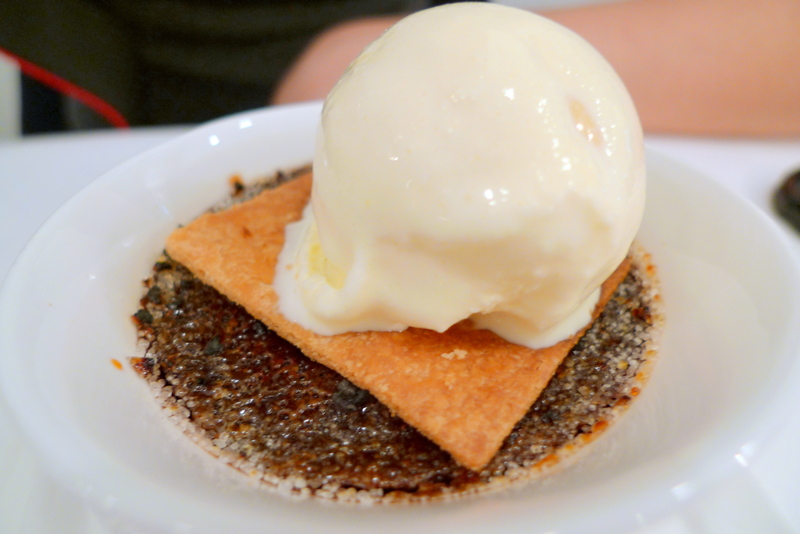 The rich and tangy custard was offset by the refreshing and lightly sweetened Ice Cream. I preferred the Dark Chocolate Creme Brulee with Vanilla Ice Cream to the Sabayon. Actually, it’s texture was reminiscent of a sinful chocolate souffle more than a chocolate custard but I’m not complaining. It was a pretty close rival to Laurent Bernard’s Chocolate Souffle! I think I might have just found my new favourite French Restaurant and it does help that the lunch sets are indeed value for money! ic…their pricing is so weird though. 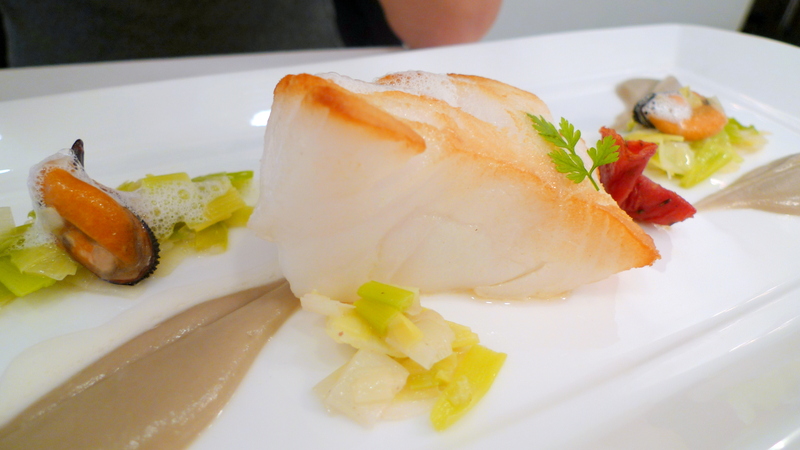 main course & dessert @ $28++, addition of starter + coffee/tea is another $20++. Generally starters would cost more than desserts right? Thus, it’s an extra 10 bucks. However, u will definately very half full after the first course! sounds gd…guess we can’t always trust the menu.